When Apple introduced iCloud Family Sharing with iOS 8 they finally provided us with a method to monitor purchases made with our Apple ID from other devices _before_ they are actually purchased. These “other” devices were typically used by our children. With Family Sharing we can manipulate purchase settings so that we are true gate-keepers of any service that needs our our Apple ID for authentication. 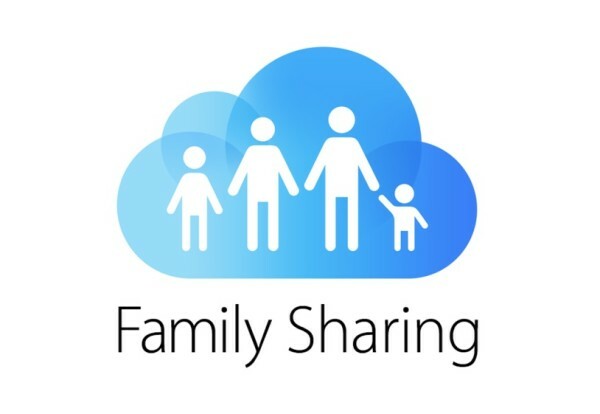 Personally, I love using Family Sharing with my oldest son who is now 12. I appreciate that he can still have his own Apple ID and make his own choices on which apps, songs and books he would like to download to his iPhone. But in the end, I still get to make the final approval. That perfect mix of independence for my son, and peace of mind for my wife and I, seems to be working well for now. One unforeseen benefit from having purchases made by different people in the same Family Sharing plan is that these purchases can be sorted by Family members. 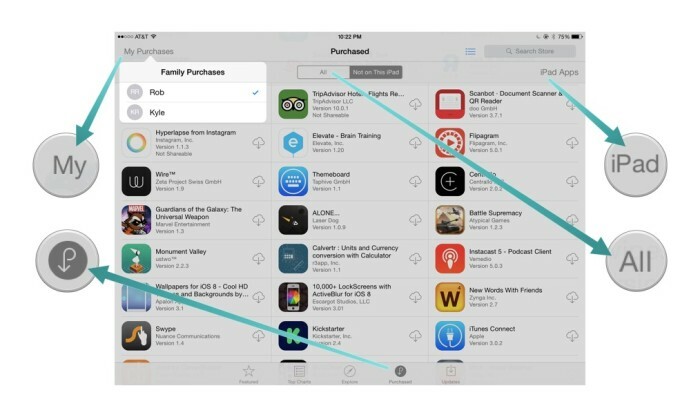 To download only purchases made from a specific member if your Family Plan first launch the App Store app on your iPad. Next, select Purchased from the menu at the bottom of the screen, You can filter your selections further by deciding if you want to look at iPad or iPhone only apps. Lastly, you can view all of your purchased apps, or just the ones that currently do not reside on your device. Now, click on the My Purchases in the upper left corner, and choose from the available members in your Family Plan. That’s it-download away!